Congratulations to Naomi Pitts, our feature for Tough Kid Tuesday! Not only has she fought through cancer, she is a role model for everyone. Remember that September is Childhood Cancer Awareness month…Go Gold! Naomi Pitts sensed something was very wrong. She played volleyball for her middle school, and realized she was tiring much too quickly. 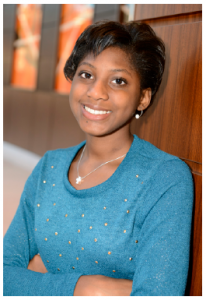 Today, 14-year-old Naomi is back at school, playing on the volleyball team again, and active with community service, including volunteering as a Champion for Children’s Miracle Network Hospitals. 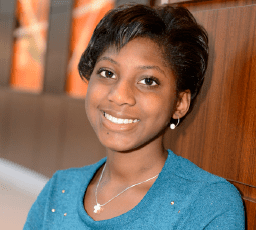 In February, Naomi was selected to represent Alabama in a program to raise awareness about the life-saving miracles at children’s hospitals throughout the United States and Canada. Recently, she shared her story with local Wal-Mart associates who support Children’s Miracle Network fundraising efforts. “It makes me feel great to know that they think my recovery is amazing,” she says. Do you encourage your children and teens to be “TOUGH”? Learn from One Tough Kid! Share Naomi’s story with your family and discuss what it means to be TOUGH. T-Tenacity O-Optimism U-Unselfish G-Grateful H-Happy (despite circumstances) Visit One Tough Kid for more inspiration! A special thanks to Children’s of Alabama for sharing this story! One Tough Kid – Naomi Pitts.